New York, N.Y. – The 2011 Rea Award for the Short Story is presented to Charles Baxter. This year marks the 25th Anniversary of The Rea Award for the Short Story. The late Michael M. Rea founded The Rea Award for the Short Story in 1986 to encourage the writing of short fiction. The annual $30,000 Rea Award recognizes a living U.S. or Canadian writer who has in Rea’s words: “made a significant contribution to the discipline of the short story as an art form”. Charles Baxter is a writer of elegant sentences, an expert in the mechanics of dramatic narration, and a master of psychological exile, which is the unexotic but special terrain of the short story. His first book of fiction, the story collection Harmony of the World, published more than twenty five years ago, announced an original mind and ironic wit, and all of his collections since (including his recent career crowning compendium, Gryphon: New and Selected Stories) have revealed similar strengths and concerns: the often suspenseful estrangement within family life; the homemade spirituality of midwestern eccentrics; the plight of a cruel economy’s stragglers; the dubious safety of the middle ground. Ordinary madness is revealed then reconsidered. Quietly political and emotionally precise, whether registering the moods and faces of strangers or the complex of fond and hateful ways Americans converse, Baxter’s stories have especially shown an acute feeling for the landscape of marriage, childhood, and art. 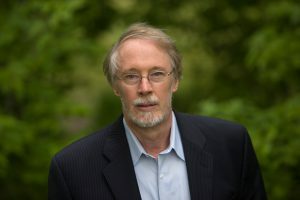 Charles Baxter is the author of six short story collections: Harmony of the World which won the Associated Writing Programs Award; Through the Safety Net; A Relative Stranger; Believers; and Gryphon: New and Selected Stories. He has written five novels: First Light; Shadow Play; Saul and Patsy; The Soul Thief and The Feast of Love, which became the basis of a 2007 film, and was a finalist for the 2000 National Book Award. In addition, he published a book of poetry, Imaginary Paintings, and non–fiction works, Burning Down the House, and The Art of The Subtext: Beyond Plot, which won the 2008 Minnesota Book Award for General Non–fiction. Among other numerous honors and awards Baxter won the Award in Literature from the American Academy of Arts and Letters, a Guggenheim Fellowship, a National Endowment for the Arts Grant, the Lawrence Foundation Award, the Michigan Author of the Year Award, a Michigan Council for the Arts Grant, and a Lila Wallace¬Reader’s Digest Foundation Fellowship. Charles Baxter is often called a writer’s writer. In an interview with the Atlantic, he said, “I feel as if I’m in a familiar locale when I’m writing short stories, since I often feel as if I know where everything is. I love the directness of the form…for me, stories begin when things start to go wrong”. His characters often seem ordinary until a chance encounter, a persistent nagging or a tilt in their world order pushes them to make sudden, feverish decisions. Charles Baxter currently teaches at the University of Minnesota and the Warren Wilson College MFA Program for Writers.